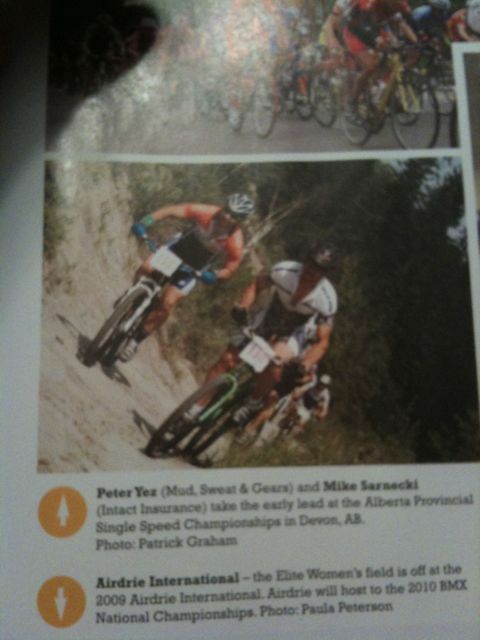 That’s pretty much sums up how my first ‘cross race back since my blown up kneecap went. I felt okay but clearly did not have the leg speed to keep up with the group(s). I guess starting in the back doesn’t help that much either. But I was riding with guys for the 1st lap and slowly started to fade out…like my engine wasn’t quite getting the fuel throttle I thought I was layin’ down. I suppose that’s what happens when you spend 5 days in Vegas walking around looking at bike goodies. That and drinking beer in the street. But I will not give up just quite yet, giver another week of training and hit up some sweet races near the Oval down in Cowtown. Should be a pretty good time. Eddie G is spending a bunch of $$ to put on a great show/sporting event, so I’m going to be sure to not miss a minute of it. I’m shooting for Costume Podium – top step. I’ve got some sweet threads to sport during the Dark Knight and I’m pretty pumped about that. 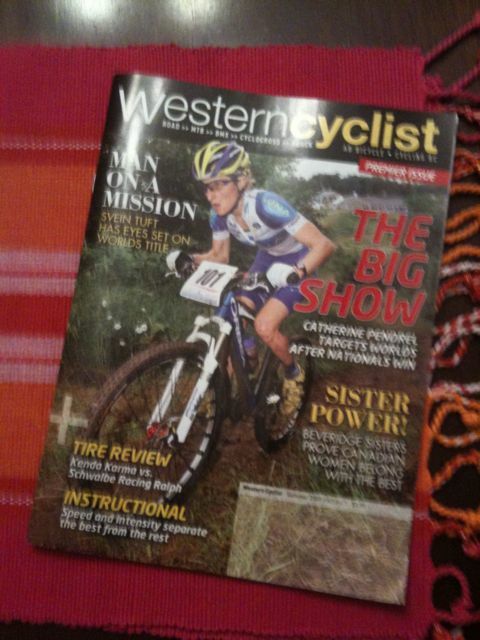 This is from the sweet new magazine: “Western Cyclist”.